Dr. ChauHwei Fu joined QPS in 2010 as Director of Clinical Research Services. He brings considerable expertise to QPS in the fields of pharmacokinetics, toxicokinetics, pharmacodynamics, biostatistics, bioavailability, bioequivalence, and medical writing. Many projects planned and conducted under his management have been used for supporting IND, NDA and ANDA submissions. 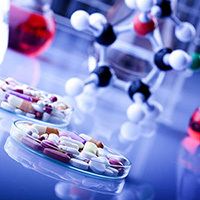 Several products and drugs were ultimately approved by FDA. Before joining QPS, Dr. Fu served as Senior Director of Pharmacokinetics, Biostatistics and Clinical Data Services at ZeeCRO (formerly AAI Pharma) in North Carolina. He received his Ph.D. in Pharmaceutical Sciences – Pharmacokinetics from the University of Missouri.